Drive 30 minutes north of Whitehorse on the Klondike Highway. At the end of Shallow Bay Road, turn right and find the perfect wilderness place among towering spruce and pine trees. You are within walking distance of the mighty Yukon River and only minutes away from the southern end of Lake Laberge, the famous setting for Robert Service’s poem “The Cremation of Sam McGee”. Nearby horizons are framed with mountain ridges, that invite to endless walks and hikes. Your solitude is guaranteed. Dogs are welcome. 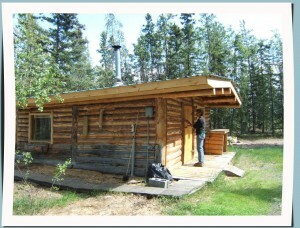 The cabin comfortably sleeps 2 people in a double bed. 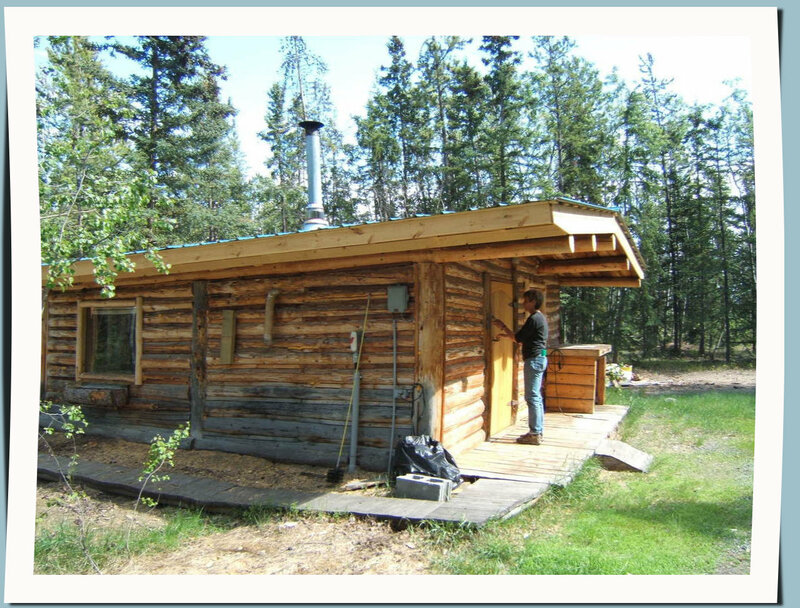 The traditional open concept includes a substantial kitchen area with water drainage to the outside, a 4 burner propane stove and baking oven combination and an electric fridge. Yes, you are hooked up to power, so your lighting, internet access and music appliances are all taken care of. 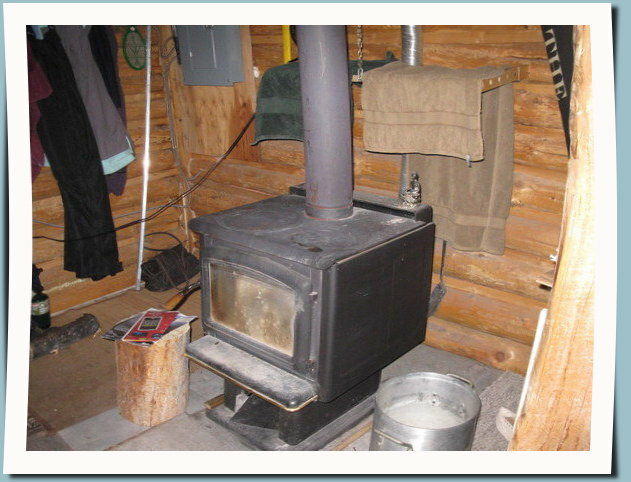 The neatest little wood stove will effortlessly heat the cabin, if need be. 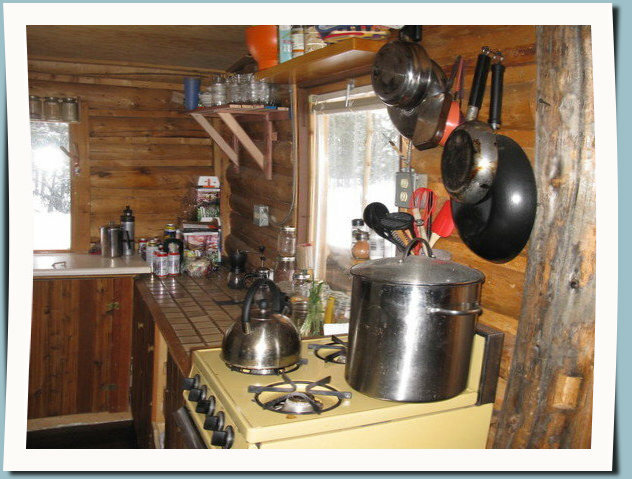 Table, chairs, shelves and cabinets complete the wilderness comfort of sorts. Your water is supplied in 20 liter containers. 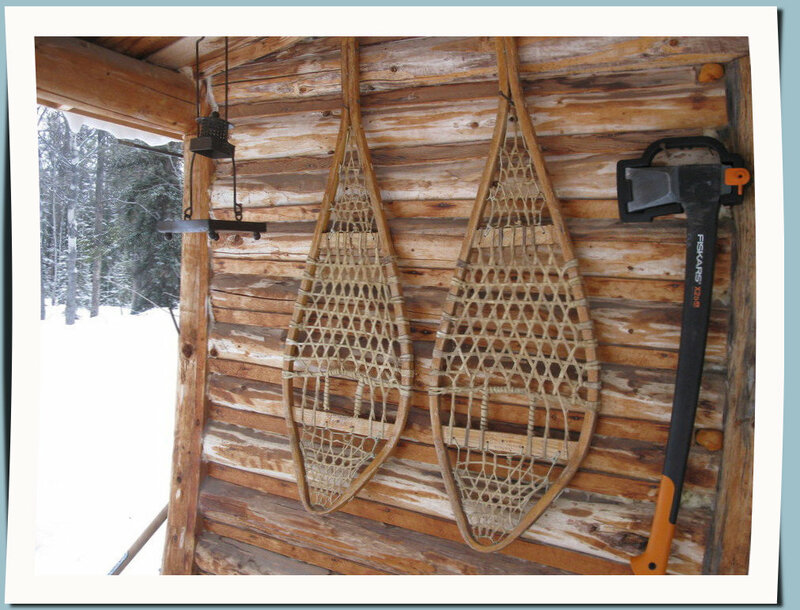 Your outside fireplace is equipped with a Yukon pick-nick table as well as lots of firewood. The obligatory outhouse lets you listen to the birds and squirrels. 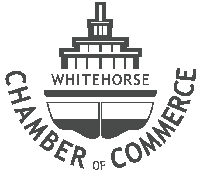 Leave Whitehorse on the Alaska Highway north and turn right when you get to the junction with the North Klondike Highway leading to Dawson City. After 15 minutes you pass over a bridge and get to the junction with the Takhini Hot Springs Road and its gas station. Stay straight ahead on the Klondike Highway for another 8 kilometers. Turn right onto Shallow Bay Road and right again when road splits. You are no on Cookies Road (no joke!). At the very end of this dead end road your private entrance to the Shallow Bay Log Cabin is to your right.